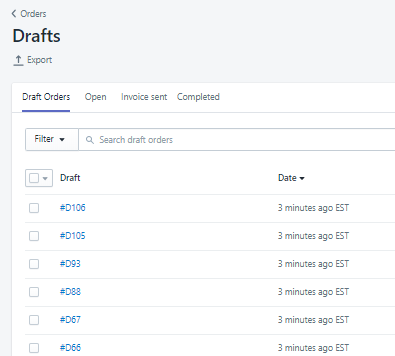 With the Excelify you can import your Draft Orders to Shopify in bulk by following these simple steps. Export some existing Draft Order using Excelify to get a sample Draft Orders sheet to use as a template. Save the file and import via Excelify app. This is an optional step. You can also create the file from scratch yourself by looking up all possible fields in our Draft Orders documentation or download our Demo Template file and use columns from this file. Firstly you would need to fill mandatory fields for any draft order. Shopify is always generating its own Draft Order name and doesn’t allow you to assign any specific custom Name to it. Anyway, when you create new Draft Orders, you need to specify any unique Name for each Draft Order so that the app can distinguish which rows belong to which Draft Order. Each Draft Order must have at least one Line Item. It is indicated by the column “Line: Type” with value “Line Item”. To add multiple Line Items to the Draft Order, insert the same Name and Command in the next row of that same Order and fill Line: … columns. (See “DraftOrder1” has 2 lines in the screenshot below). Now we need to fill this row with information about the product. If you wish to attach this Draft Order to an existing product then you must fill columns – Line: Product Handle, Line: Quantity (also Line: Variant Title or Line: SKU if the product has multiple Variants). 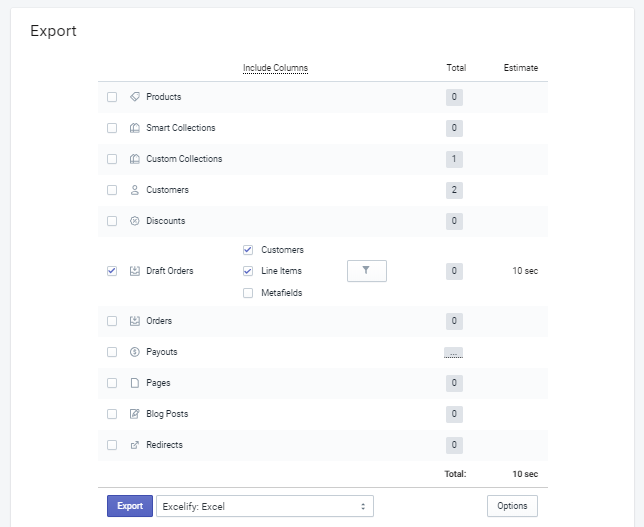 If you wish to attach this Draft Order to a custom product that is not in your store then you must fill columns – Line: Title, Line: Quantity, Line: Price . Most other columns are optional and can be filled upon creating a Draft Order. Check out our Draft Orders documentation for a detailed description of the column. Send Invoice: To – Email of the recipient. If you also have filled the “Customer: …” columns with an email then it may be left empty. The link received by the customer will take them to the Checkout page. Once they will complete the checkout, the Draft Order will get completed – it will create the real Order. You can instruct the Shopify to complete the Draft Order – thus making the real Order from the Draft Order. Complete – with value TRUE. Complete: Payment Pending – Is set to TRUE will mark generated real order as Payment Pending. If left empty or set FALSE will mark the order as Paid. Completed Draft Orders will not show up with all Draft Orders, switch to the “Completed” tab to check them. Check tutorial on how to complete existing Draft Orders.